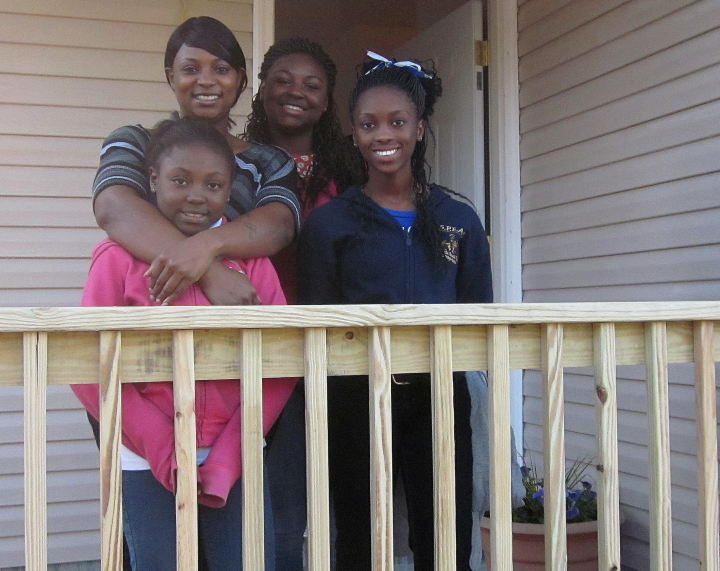 The Southwest Quarter Fuller Center for Housing in Lumpkin, Ga., dedicated its first new home build on Friday for homeowner Alethia Starling and her three daughters — LaParis, 18; Tamara, 13; and JaQuaivia, 10 — just in time for the holidays. The home was built on a lot donated by someone with a vested interest in seeing it used to better the community. The donation was made by Jeannette Armor, president of the Southwest Quarter Fuller Center. Among those who helped Alethia and her family build the home was a group of students from the University of Notre Dame who spent their spring break in the small Southwest Georgia town. 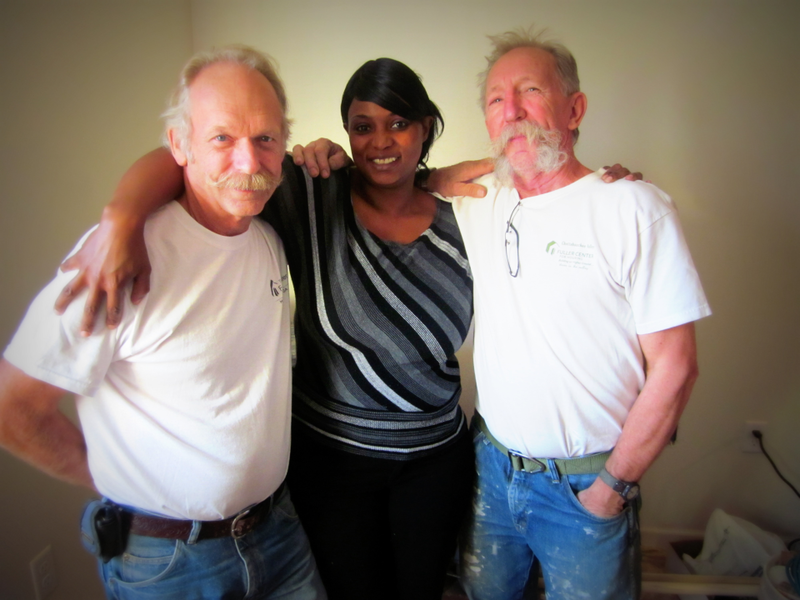 Also leading the effort were Minnesotans Charlie Thell and Tim DuBois, who came to Lumpkin four different times to work on the home. They were putting finishing touches on the home Friday even as dozens of people, including Fuller Center for Housing President David Snell, were arriving for Southwest Quarter’s first new home dedication. DuBois and Thell are frequent volunteers on Fuller Center work sites, and the men developed a fondness for the small-town charm of little Lumpkin. “I think they fell in love with the place,” Snell said of the duo’s four trips to Lumpkin. “The people treated them like princes, and they did great things down there. But DuBois said that their efforts are more about future houses than current ones. Starling certainly has an appreciation for the idea and concept behind The Fuller Center for Housing, which makes families full partners in the building process, requiring them to commit sweat equity to the project and pay for houses on zero-percent-interest, no-profit terms they can afford. She said that her sense of ownership is enhanced by The Fuller Center’s method of building with, not for, families. “I feel so good knowing that me and my family and friends and church members played a big role in it,” Starling said. “It’s just so amazing that I would be a homeowner and play a big role in building it. Snell said that while Starling might be amazed by the interest Fuller Center volunteers showed in coming to her “little small town,” it shows the range of The Fuller Center’s concern for the issue of helping people obtain affordable housing wherever they may live. For more information about the Southwest Quarter Fuller Center, contact Sara Singer at sarasinger@bellsouth.net. Click here to view or download photos of this house project. find out what your website are about, providing additional relevancy on the page by page basis. it may help the editors decide if you need to be taken out of their list or not. Search engines base their assessment and evaluation about the links and the way these are in connection with webpage content then give their rating according to relevance.